Peel the aubergine and cut into thin slices. 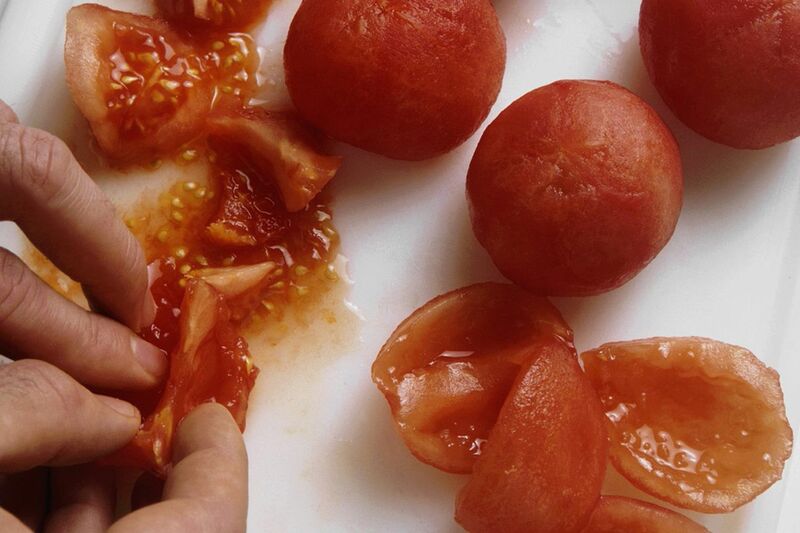 Plunge the tomatoes into boiling water, then into cold water. Peel, halve and deseed. Finely dice the tomato flesh. Place the skins and seeds in a sieve and press well. 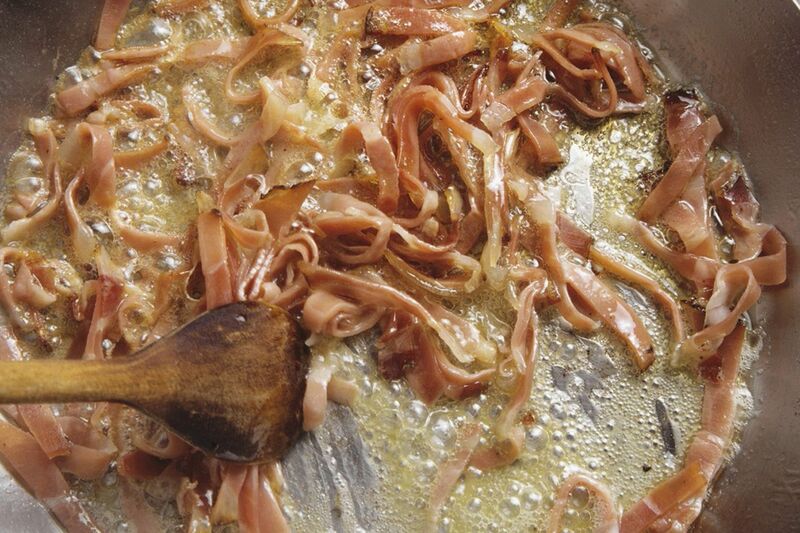 In a pan, heat 1 tbsp olive oil and fry the shallots and garlic until golden. 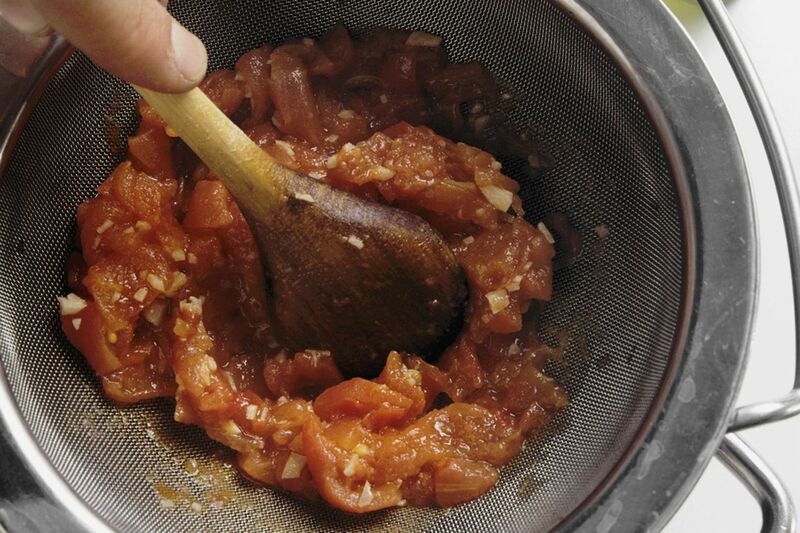 Add the tomatoes and the collected juice and simmer for 5-10 minutes. Season the sauce with salt and pepper. 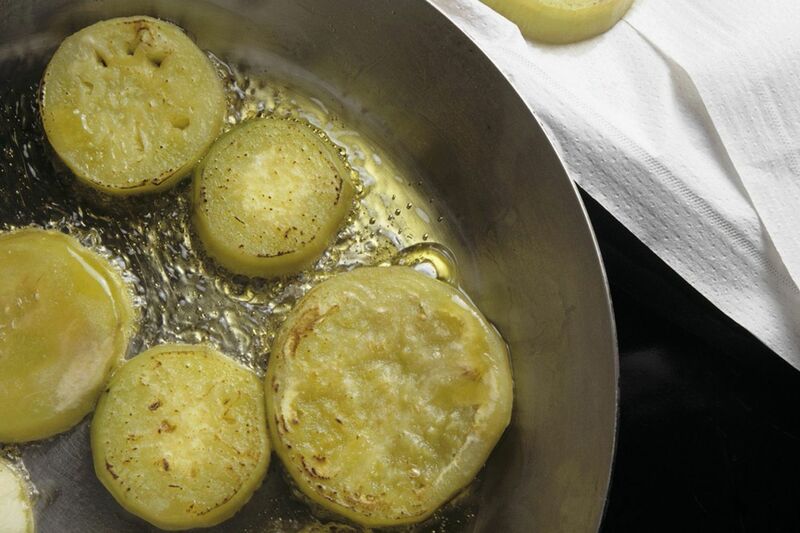 Heat the rest of the olive oil in a pan and fry the aubergine slices in batches, until golden on both sides. Drain on kitchen paper. Cut the bacon into fine strips. In a pan, melt the butter and fry the bacon until crispy. 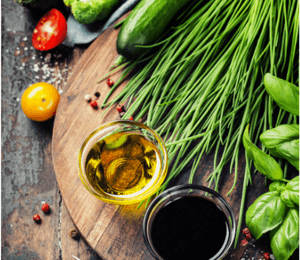 Heat a deep fat fryer or deep pan half-filled with oil to 170°C . 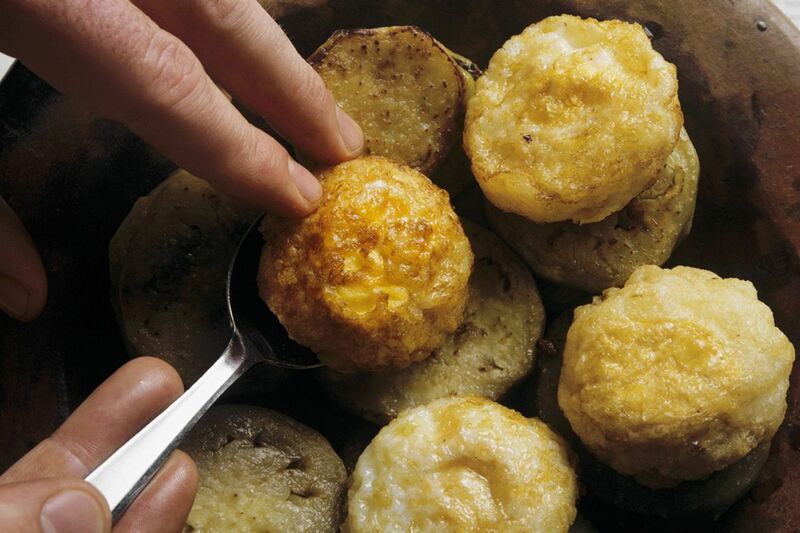 Pour the eggs into a cup, slide individually into the hot oil and allow to set. 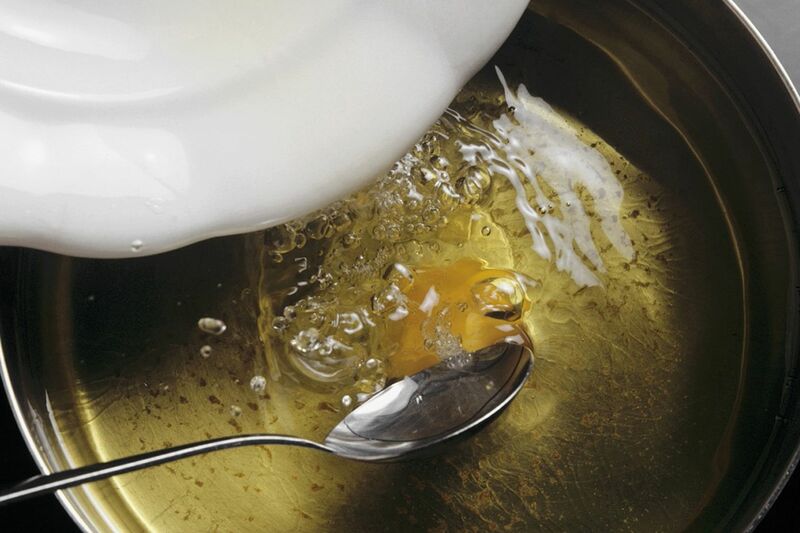 Press the egg whites to the yolk with a fork to give the egg a round shape. Drain the fried eggs on kitchen paper. Arrange the fried aubergine slices on a plate and place the fried eggs on top. 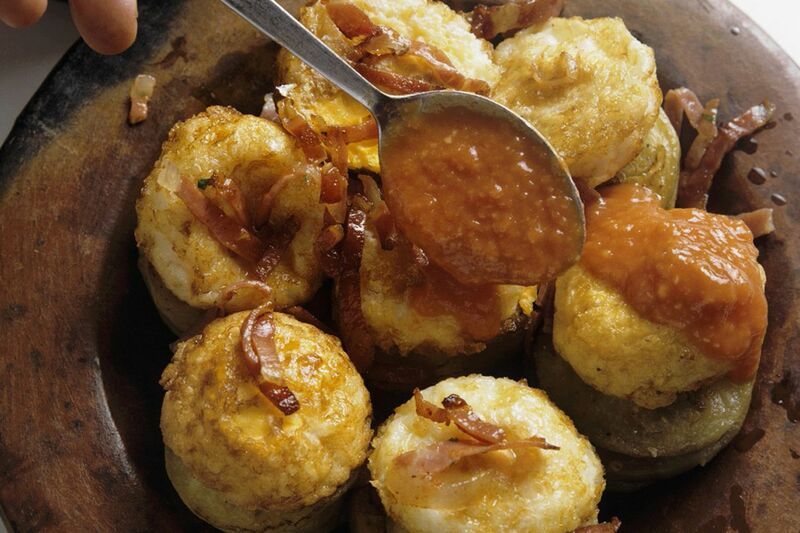 Sprinkle the eggs with the bacon strips and add 1 tbsp tomato sauce to each. Serve garnished with parsley.